Minimum quantity for an order: 6 djembes / djembes shells. Individual photos of instruments are not available. Shipping extra. VAT overpayment (20%) may be claimed by eligible organizations. The Ghana medium djembe is fabricated with tweneboa (« the drum tree »), a white wood from sustainably managed forests. This djembe drum is best for djembefolas seeking a multi-purpose, versatile instrument, easy to play, and a very good value for the price paid. 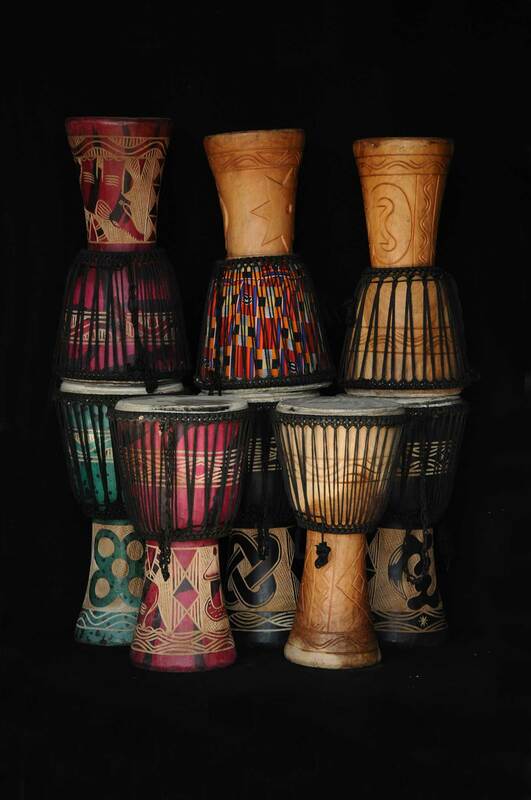 Available in a wide range of dimensions, the Ghana djembe is suitable for beginning as well as advanced djembefolas. Like all our Ghanaian djembe drums, each Ghana djembe is conceived by ghanaian craftsmen using local materials and traditional skills.